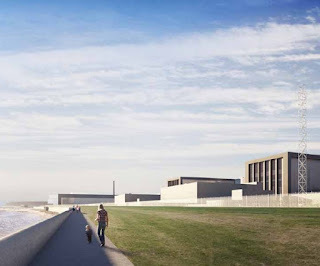 UK Chief Secretary to the Treasury Danny Alexander has announced a vast new civil works project in the UK, which includes guarantees running some £10 Billion for construction of two UK-EPR nuclear plants at a to-be-built Hinkley Point C nuclear station. 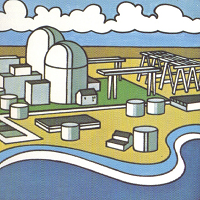 Seen above, courtesy EDF, is an artists' conception of the public footpath and seawall to be built at the station; the two new nuclear units' turbine buildings are seen at right as the two largest buildings visible. Click here for a full transcript of Danny Alexander's speech, conveniently indexed. Click here for a Guardian article with analysis on the nuclear guarantee. Click here to see the official EDF Energy site covering the Hinkley Point C project. ROSEMEAD, Calif., June 26, 2013 — Southern California Edison (SCE) issued a workforce reduction notice Monday that approximately 600 non-union jobs will be eliminated at the San Onofre nuclear plant this summer. The notice follows SCE’s announcement on June 7 to permanently retire San Onofre Units 2 and 3. The nuclear plant’s workforce of 1,500 will be reduced to 400 next year as preparations proceed to decommission the 2,200-megawatt plant. The Worker Adjustment and Retraining Notification (WARN) Act notice issued Monday signals that non-union employees affected by the workforce reduction will be laid off in a little over 60 days. In addition, SCE will work with the Utility Workers Union of America and the International Brotherhood of Electric Workers through the collective bargaining process on transition plans for the union employees affected by the shutdown. He noted the company will work to ensure a fair process for the transition, including a job fair for displaced workers. Today (June 25) President Obama will give a speech on his vision for a national climate policy, which is of interest to us involved with nuclear energy in that it's also going to impact energy policy. Overnight, the speech leaked out. The Nuclear Energy Institute has made cuts of the speech that include reference to nuclear energy. See NEI's post on NEI Nuclear Notes here. NEI President and CEO Marv Fertel has made a statement about the Obama policy; see it here. The White House has released a brief Fact Sheet on the overall plan. See it here. There is also available from the White House a full 21 page report. See the .pdf file here. In this full report we find the statement - "Going forward, we will expand these efforts to promote nuclear energy generation consistent with maximizing safety and nonproliferation goals. " The American Nuclear Society (of which I'm a member, and also have a seat on the ANS Communications Committee) has a position statement on nuclear energy, entitled "Nuclear Power: The Leading Strategy for Reducing Carbon Emissions." Click here to see it. • The speech will mention SMR or Small Modular Reactors; here is the ANS Position on these. Small Modular Reactors can be used to repower existing fossil fired facilities. 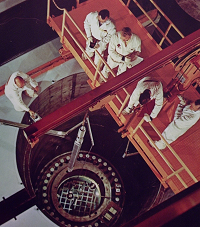 Small sized (but not modular) reactors were in fact used in this capacity before; the technique is proven, and not on a small scale. See an extensive article about this phenomenon here. 1:57 PM Edison Electric Institute Statement. 2:25 PM Heritage Foundation briefs on nuclear energy and energy policy. President Obama's speech only mentioned nuclear energy briefly, in passing - a great disappointment to those of us solidly behind nuclear energy who were listening intently. What appears in the printed material is really not much better than what's appeared before. We can expect further push on Small Modular Reactors, the plan says; but is that really promising any more than continuance of the first round of DOE SMR funding? Is there any promise of an increase? No, and no. So the words are just a continuation of previous policy. But the President did say some things that might put off a number of solidly pro-nuclear folks that had nothing at all to do with nuclear energy. During his speech, President Obama referred to those who deny or question in some way the effect of man on climate change as "flat earthers." It's for that reason that I include the following link. Those who do not believe that there is any large, solid core of people who doubt anthropogenically driven climate change need to read the following article very carefully. The people for whom the above article was written aren't going to buy into any plans based entirely on climate change. However, no one can deny the importance of maintaining the United States as a technological leader -- and no one can deny the sound of opportunity knocking at the door. That "opportunity" is the strong desire for many nations overseas to acquire nuclear power plants. Some are well underway, like the United Arab Emirates; others, like Kenya, are only just starting. Those just starting -- or, in some cases, others looking to restart dead or stalled programs -- are potential sales locations for American built technologies. We need to get moving on international agreements, and sell nuclear plants anywhere we can show there's a suitable location, a stable government, a solid regulator, and trained and capable operating staff. That's the part of the President's plan they'll buy in with. Calling them names isn't helpful; finding out what matters to them, and what might convince them as a result, is helpful. I'll be keeping my eyes open for futher good perspectives on the Obama speech, and will post them here. 11:58 AM 6/28 Jack Spencer of the Heritage Foundation has written an analytical piece entitled "The President's Pro-Nuclear Rhetoric vs. his Anti-Nuclear Policies." It's realistic, sobering, and worth a read at least once. Click here to see it. I will continue to add analytical pieces to this blog post as I find relevant and realistic examples. Atomic Power Review is proud to host another in a long line of pro-nuclear advocacy vehicles that we call the "Carnival." This feature rotates among pro-nuclear blogs each week, and presents the top stories of that week. We've just come off a grand American Nuclear Society Annual Meeting, which I attended and reported on under contract to the American Nuclear Society. The topical meetings were great, and of course as with any such meeting the networking before and after the sessions were invaluable. Some of the links you'll see below relate to material delivered at the meeting. But first... What is this? You can click the photo to enlarge it. No hints this week -- and yes, this photo was very deliberately chosen to appear in this feature at this juncture.. in fact, I thought I'd picked the photo prior to the weekend but I changed photos at the last minute. You'll find out why later on. Now, the Carnival! Japan has new nuclear safety guidelines: The Nuclear Regulation Authority said it would start accepting applications on July 8 from power companies seeking to restart their reactors. Seven companies have said they will apply to restart a total of 13 reactors across Japan. Japan has passed new safety guidelines. Defy Joe Romm's advice and watch Pandora's Promise: Joe Romm, the lead thinker at Climate Progress, has once again exposed the fact that he is not terribly serious about fighting climate change. In fact, he is so casual about the effort that he wants everyone to dismiss nuclear energy out of hand as being too expensive to matter, without even thinking about trying to solve the often solvable issue of cost. He does not want to deal with the discussion that might happen if people watch Pandora's Promise and begin to consider nuclear as an effective tool in an important struggle. Pandora's Promise: Nationwide Now In this post, Meredith Angwin compares reactions to the movie Pandora's Promise, particularly reactions by anti-nuclear activists. One nuclear opponent wrote: "For me, this film’s strength was not that it changed my mind, which it did not, but that it expanded it." Another supposed environmentalist used the terms "hoax" and "liar" about the film. In other words, some people have open eyes. Other people keep their eyes shut, in order to defend themselves from inconvenient truths. The Hiroshima Syndrome covers two topics of import this week. First, in "Japan's Red Cross violates its moral imperative with too-low limits," we find that the Japan Red Cross Society (JRCS) has set a maximum radiation exposure limit of one millisievert per year for emergency response workers. The primary mission of these workers is saving the lives of survivable victims. To the contrary, it seems the JRCS is more concerned about avoidance of negligible radiation exposures than saving people's lives. Next, in "A New Fukushima Scare About Strontium-90," this past Wednesday Tokyo Electric Power Company said Strontium-90 was found in a groundwater sampling well near Fukushima Daiichi. The announcement has set off a tsunami of alarming press articles based on questionable evidence. Japan's press seems dedicated to keeping its readers in a state of fear. The American Nuclear Society's Annual Meeting was held this past week in Atlanta, Georgia. The technical sessions there provided a great deal of timely and relevant information about nuclear energy and research; two were covered in some detail on the ANS Nuclear Cafe blog by Will Davis. First, a panel discussed the risks and challenges involved with Building New Nuclear Plants. Second, another expert panel discussed Supply Chain and Procurement Issues in Nuclear Energy. Both presentations carried important implications for the future of nuclear energy in this country, in both the areas of new construction and support for plants already operating. Westinghouse has released a brand new television commercial entitled "We Are Nuclear Energy." This was debuted at the ANS Annual Meeting to round applause. See this link for the ANS Nuclear Cafe article on it. 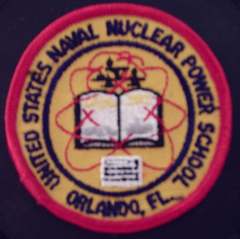 We now get to the "What is this" feature that Atomic Power Review always has when it hosts the Carnival. Scheduled Completion Dates - Unit 1, 1982; Unit 2, 1983. Architect-Engineer: United Engineers & Constructors. The project would have employed a peak construction force of over 2000 workers, and kept an operating and maintenance force of over 200 workers - greatly boosting the local economy, and providing GHG-free electricity 24 hours a day, rain or shine. The project was cancelled in 1979, officially 0% complete. According to Energy Information Administration documents, the official reason was "reversal of economic advantage," with the footnote "it was determined that the implementation of conservation and load management programs, and the conversion to coal of existing units, could satisfy current and projected demand." "Conversion to coal" is particularly stunning right now, immediately after the release of the movie Pandora's Promise, in which a number of former anti-nuclear activists detail their conversion to being pro-nuclear. How strange is it that prevention of a nuclear plant's construction was in part made possible by converting other units to coal. The fact about this project's abandonment though is that a major deciding pressure was a bevy of lawsuits brought against the project by local "environmentalist" activists. Certainly, the downward trend in projected power requirements played a role - but so did obstruction by intervenors, better and more accurately named as "opponents." This last described fact is appalling in light of converting plants to coal at the time. These lawsuits are no secret; look them up yourselves. 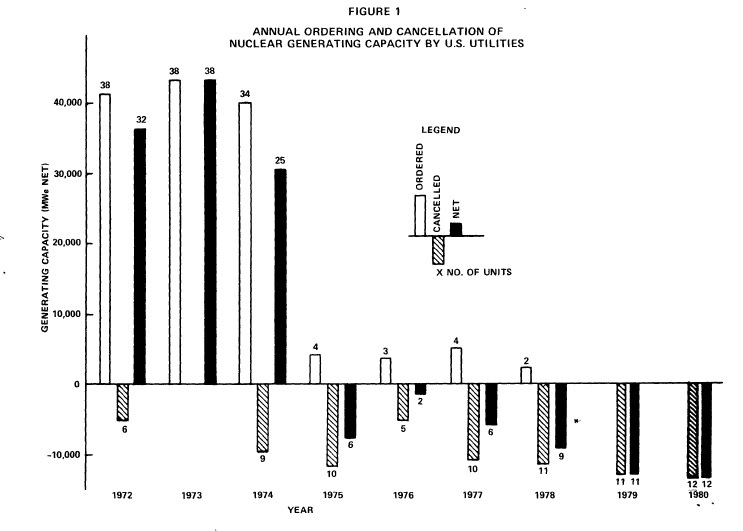 There was already a clearly established trend of nuclear plant delay and cancellation underway by the time the NEP units were cancelled in 1979. 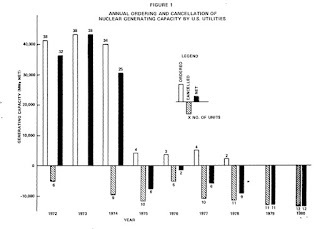 Below is a graph from a 1981 US DOE document entitled "Nuclear Power Program Information and Data." Click the illustration to enlarge it. It's clear that the trend to having a net negative quantity if one only considers plants ordered annually and plants cancelled annually started in fact shortly after the NEP plants were ordered. What's also clear is that many of the stated reasons in EIA documents that make economic assessments don't take into consideration the opposition from anti-nuclear forces back at that time. That opposition's primary effect was delayed construction, meaning that interest drained the coffers of those on the hook for it. 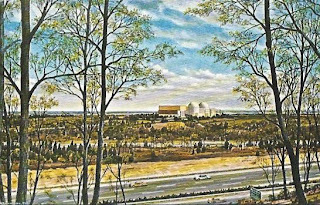 A document that's been available on this site for some time is an AEC internally written history of the early years of the anti-nuclear movement up to mid-1973. It's essential reading for those who have seen Pandora's Promise and want a better view of what was really going on. It's quite eye opening. The document can be found by clicking this link; however, it's also available in the right side bar. See "Public Attitudes Toward Nuclear Energy - WASH-1250." On Tuesday, President Obama is now known to be making a speech about energy policy and climate change. The whitehouse.gov video hints that he'll mention new biofuels, and new technologies. One wonders if the hiring of a former Union of Concerned Scientists executive at a high level in the Department of Energy isn't part of a broader administration signal that nuclear energy will be left out. Indeed, it's instructive today (considering environmental panic of the moment) to look back at the Charlestown RI "NEP" project -- and see that part of the justification for cancelling it was "conservation." That's right -- that means forcing people to make do with less, instead of generating more power cleanly. We might be coming to a serious junction in this country in terms of energy policy. It's important to see that nuclear energy must play a role in our energy future - it provides relatively fixed-cost, reliable energy around the clock with no exhaust. No GHG; no soot. Further, manufacturers of SMR (Small Modular Reactor) plants are planning to replace coal fired units nearer to cities than large nuclear plants can be built with small, underground, inherently safe nuclear units that bring lowered purchasing and operating cost along with 24/7 power capability to the table. These units will even be able to load follow -- allowing for more renewables to be used on the same grid. Let's select the direction we want to go, this time around -- and get there. Let's not allow under-construction and planned nuclear stations to get waylaid. Instead, let's embrace the reasons why we need nuclear energy (safe, efficient, round the clock power) and the reasons we might want to avoid fossil fuel (greenhouse gas emissions) and have the courage to take a path and plow toward a goal. And, let's not leave a trail of incomplete gravestones to our ideals this time around. 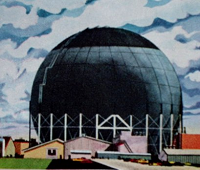 I've seen enough of the illustrations such as I've showed you today -- nuclear plants planned and ordered but never built. Press release from Southern California Edison, courtesy Maureen Brown, follows. 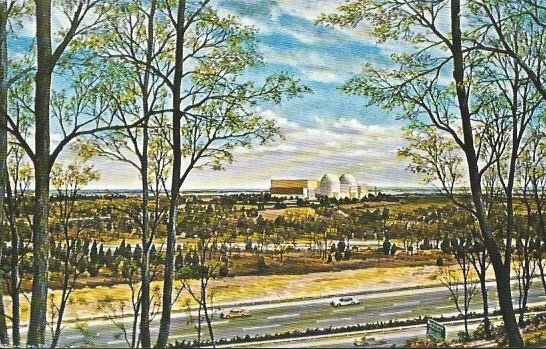 ROSEMEAD, Calif., June 13, 2013 — Southern California Edison (SCE) on Wednesday formally notified the Nuclear Regulatory Commission (NRC) that it has permanently ceased operation of San Onofre nuclear plant Units 2 and 3, effective June 7. The notification, called a Certification of Permanent Cessation of Power Operations, is the formal administrative step following SCE’s announcement last week that the company will retire Units 2 and 3. Dietrich said the NRC will continue to provide regulatory oversight of San Onofre. 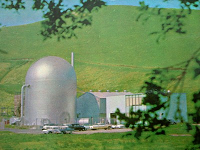 He noted that San Onofre management will draw upon the expertise of staff who managed the decommissioning of Unit 1, which ceased operation in 1992. Decommissioning is a detailed process that will take many years. The process requirements are outlined in federal regulations. San Onofre Unit 2 was taken out of service Jan. 9, 2012, for a planned outage and Unit 3 was safely taken offline Jan. 31, 2012, after station operators detected a leak in a steam generator tube. More information is available at www.edison.com/SONGSupdate and at www.SONGScommunity.com. San Onofre is jointly owned by SCE (78.21 percent), San Diego Gas & Electric (20 percent) and the city of Riverside (1.79 percent). Follow us on Twitter (www.twitter.com/SCE) and Facebook (www.facebook.com/SCE). ROSEMEAD, Calif.--(BUSINESS WIRE)--Southern California Edison (SCE) has decided to permanently retire Units 2 and 3 of its San Onofre Nuclear Generating Station (SONGS). In connection with the decision, SCE estimates that it will record a charge in the second quarter of between $450 million and $650 million before taxes ($300 million - $425 million after tax), in accordance with accounting requirements. We'll print more details as they're made available. Watch @atomicnews on Twitter for updates throughout the day.